This necklace is the perfect inspirational present for someone going through a tough time. The uniquely-shaped sterling silver token shows that even though a path may dip or curve, even if there’s a hole in your heart, your journey can still tell a beautiful story. The hand-polished silver token reflects your inner strength and tells the world it doesn’t matter how many times you fall. It only matters how many times you stand back up. Pop artist Rihanna has “Never a failure, always a lesson” tattooed backward on the front of her shoulder so when she looks in the mirror, she sees it correctly and feels encouraged. 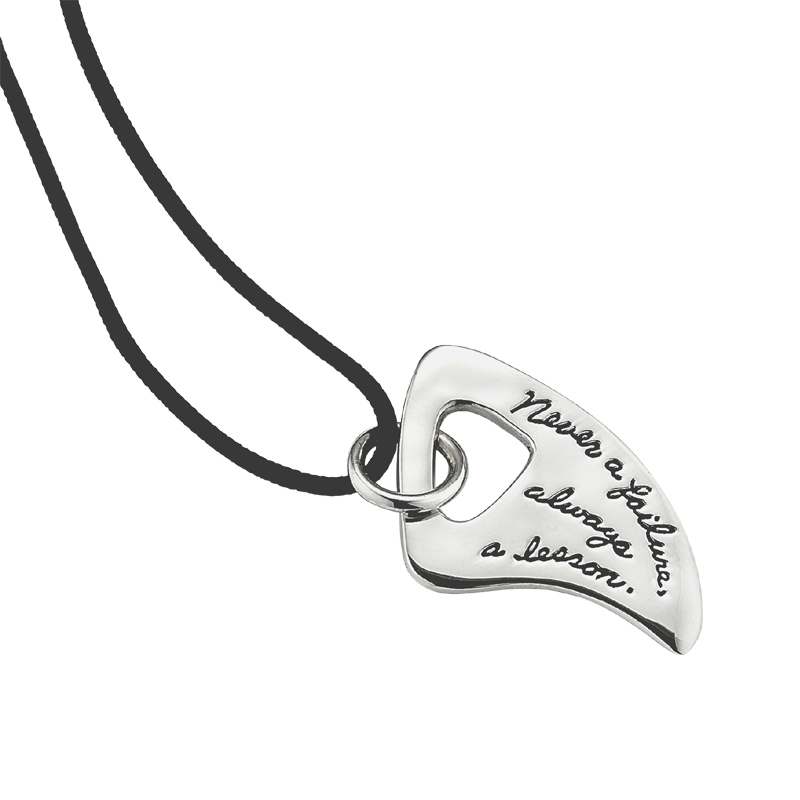 Let this sterling silver token engraved with script encourage you daily. This sterling silver necklace is available on an 18” sterling silver chain or an adjustable black cord.